Joni Sledge, Kathy Sledge, Debbie Sledge and Kim Sledge began singing at an early age at the church in their hometown of Philadelphia. Eventually their grandmother, a former opera singer, had the girls performing at charities and philanthropic events and that’s how Sister Sledge arose. In the 1980′s, the world witnessed the full flowering of four beautiful ladies, with subsequent international chart topping hits; Lost in Music, Thinking of You, All American Girls, Greatest Dancer and the international multi-platinum record Frankie. In the following years, Sister Sledge had worldwide record-sales and travelled extensively in Asia, Europe, the Middle East, South America, Australia and the United States, earning rave reviews. It was also in the eighties that the ladies rocked New York’s famous disco temple ‘Studio 54’. They partied and performed with icons as Andy Warhol, Grace Jones, Mick Jagger, Donna Summer, the BeeGees, Elton John and Diana Ross. 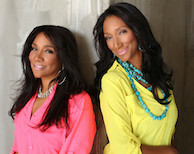 Sister Sledge are established as one of the world’s most legendary and successful female groups. Their album, ‘We Are Family’ soared past the platinum mark, reaching the top of both pop- and R&B charts. Over the years, Sister Sledge has brought their spirit to fans on all continents, sold millions of albums and has earned many awards, including prestigious Grammy’s. Their danceable music is aired daily by radio-stations all over the globe. The Sister Sledge remix of We Are Family was successfully featured in the blockbuster movie “Mission Impossible 3”. As of today, Sister Sledge tour and make music together. Sister Sledge performances simply ‘rock the house’. Sister Sledge inspires audiences all over the world! Do you want to hire Sister Sledge? Directly request a quote. In 48 hours we can send you the availability of Sister Sledge If you would like to book Sister Sledge, Entertainment Booking Agency is the right place. We will offer you the best price and contact the management or we directly contact Sister Sledge. For corporate appearances or speaking engagements you can contact our agents and the will help you true the process. Tags: hire Sister Sledge, Sister Sledge booking, book Sister Sledge, Sister Sledge appearances, find more information on booking Sister Sledge for appearances, Sister Sledge speaking engagements, Sister Sledge endorsements/spokesperson, Sister Sledge appearance fees, Sister Sledge booking agency contact info, biography of Sister Sledge, Contact an artist booking talent agent find a speakers bureau that can book Sister Sledge, speaker booking agency for Sister Sledge, Sister Sledge booking agency, Sister Sledge booking for corporate event. EBA is one of the biggest entertainment booking agencies in the World. We book hundreds of celebrities, artist, athletes and speakers in a year. Important to know is that we are not claiming to be the management of Sister Sledge. We are not the official agent for Sister Sledge. Companies from around the globe book these artists and speakers true our company be course we have one of the biggest networks and we always have direct contact with the artist or the management. We help you to find the right celebrities for your corporate of private events. Please contact one of our agents to get free advice and we will help to get the world-famous artist on your party.